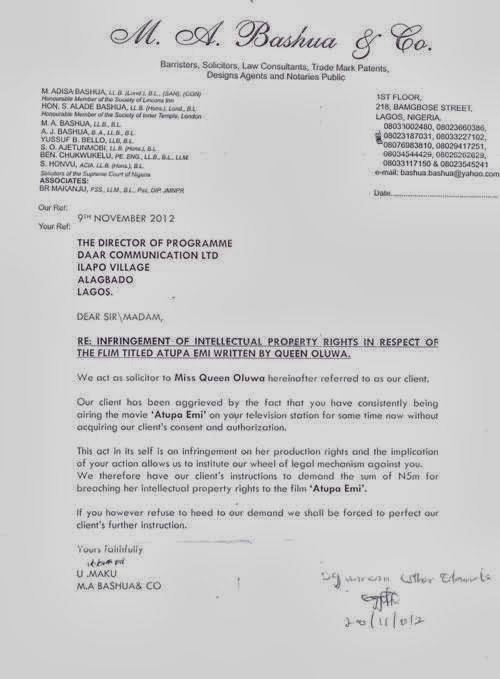 If you are regular viewer of African Independent Television (AIT), you must have come across a Yoruba movie titled Atupa Emi, written and produced by Temitope Oluwa. The producer of the movie has filed a lawsuit against the popular Television station for airing her movie without securing proper authorization. The actress filed the whopping N5 million lawsuit with the help of her attorney, MA Bashua & Co. in November 2012 but AIT refused to respond. 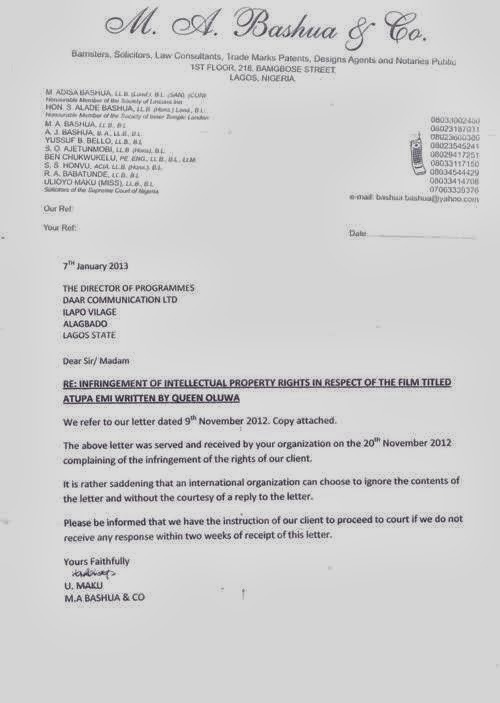 Apparently, the lawsuit letter was served last year and after AIT refused to respond,Queen Temitope Oluwa through her lawyers took the case to court. Why will someone put so much effort and money into a project and others like AIT deem it fit to steal. Are kidding me just N5m? That is such a peanut!